It was off to a great start with the Eggplant Parmigiana. The stunning presentation made way for an exceptionally tasty and appetising starter. 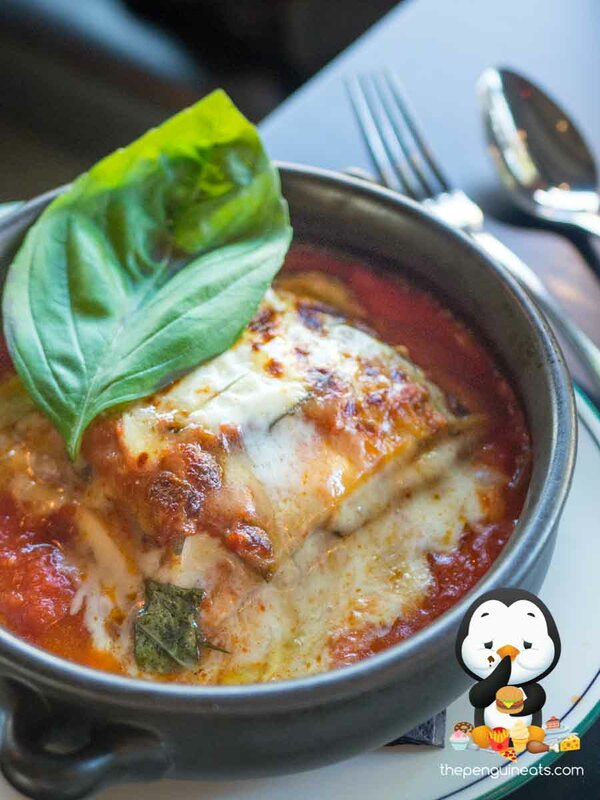 Underneath the giant basil leaf, the layers of thinly sliced eggplant intertwined with a generous helping of melted cheese made for an amazing combination. The flavours were further enhanced by the rich tomato base it was baked it, offering just the right sweetness and acidity that went well with the sweet, yet slightly chewy eggplant slices. 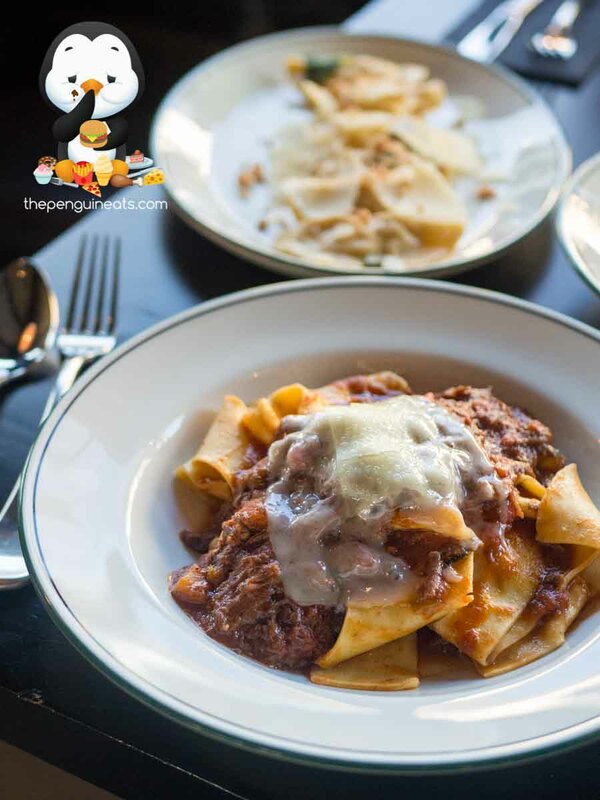 The highlight of our meal was undoubtedly the Beef Ragu Pappardelle. The home made egg pasta was thick and chunky, cooked to perfection with just the right chew, consistency and softness. The fragrant, egg-based pasta perfectly soaked up the gorgeous ragu sauce that was rich and bold in beef flavour with just a hint of tomato and carrot stirred through to provide a hint of sweetness. Coupled with shreds of tender, succulent beef that simply melted away in your mouth, this was as good a ragu as you can get, Melbourne or Italy! The Agnolotti was no less impressive despite its relatively simple presentation. 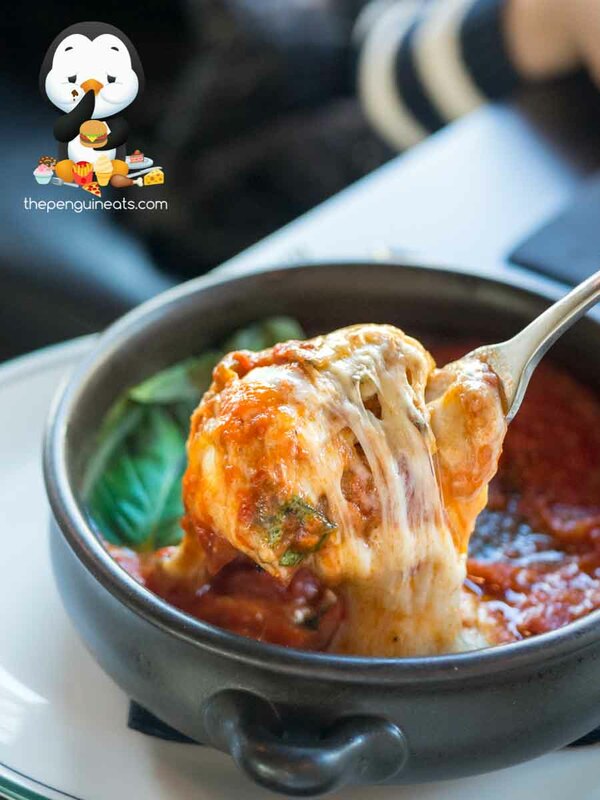 Each parcel was stuffed with a simply sensational pumpkin and ricotta mixture that offered up an excitable sweetness. This was all held together by a thin, delicate skin and very dressed with aromatic sage and amaretto. Coupled with a buttery crumb scattered throughout. This was an absolutely sensational dish that just keeps asking for one more bite. We rounded off our meal with the Panna Cotta. Unfortunately this was definitely the least impressive dish of the evening. The panna cotta wasn’t quite as silky smooth nor rich and creamy as we’d like. 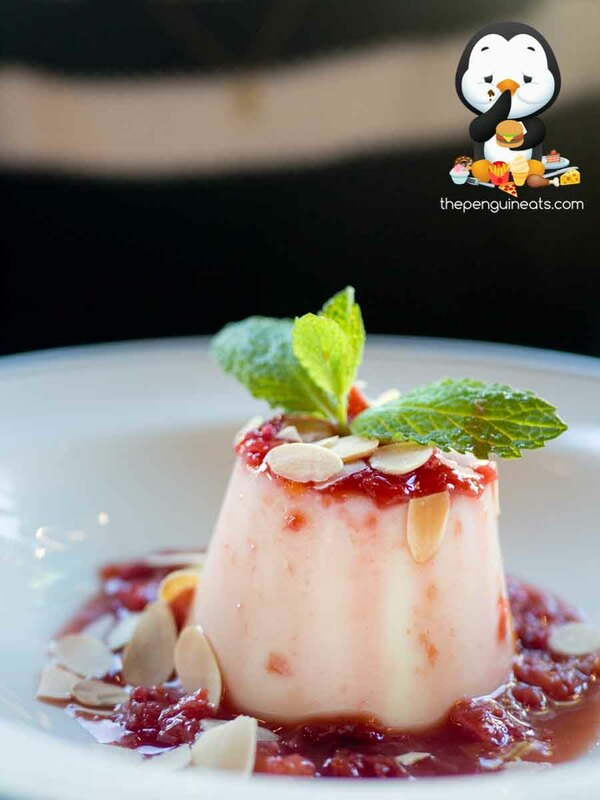 The texture was rather gelatinous, which made for a very jiggly, though not very creamy panna cotta. However it was still quite enjoyable especially when combined with the crunchy almond flakes scattered throughout. 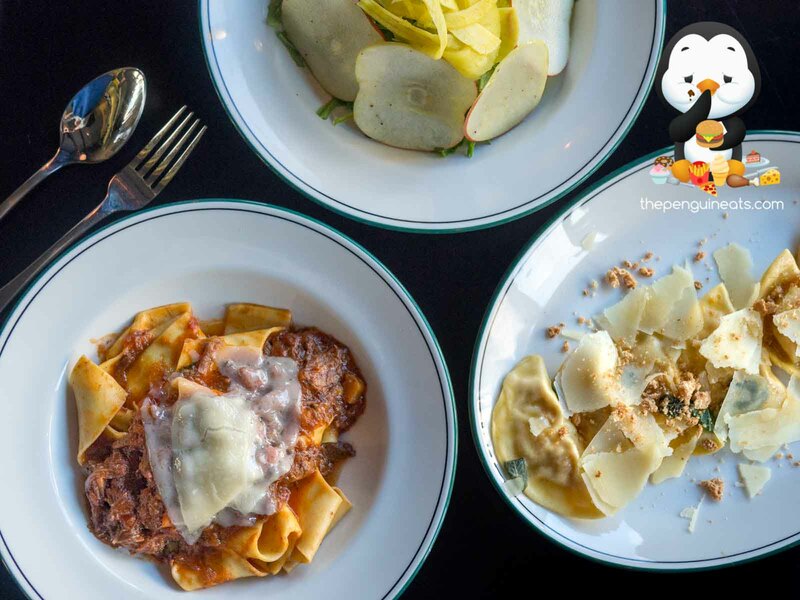 We are pretty convinced that there almost certainly exists no better pasta in Melbourne. 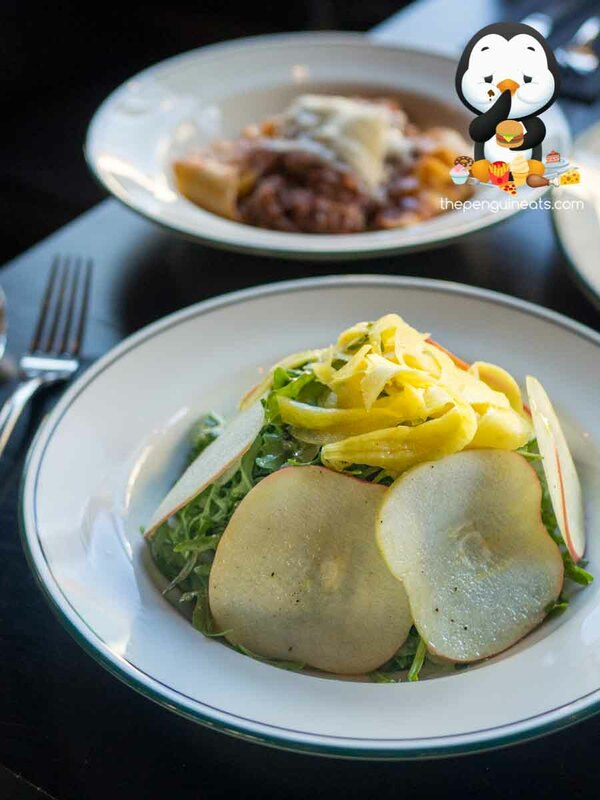 Tipico is so, so much more than just your typical pasta joint. 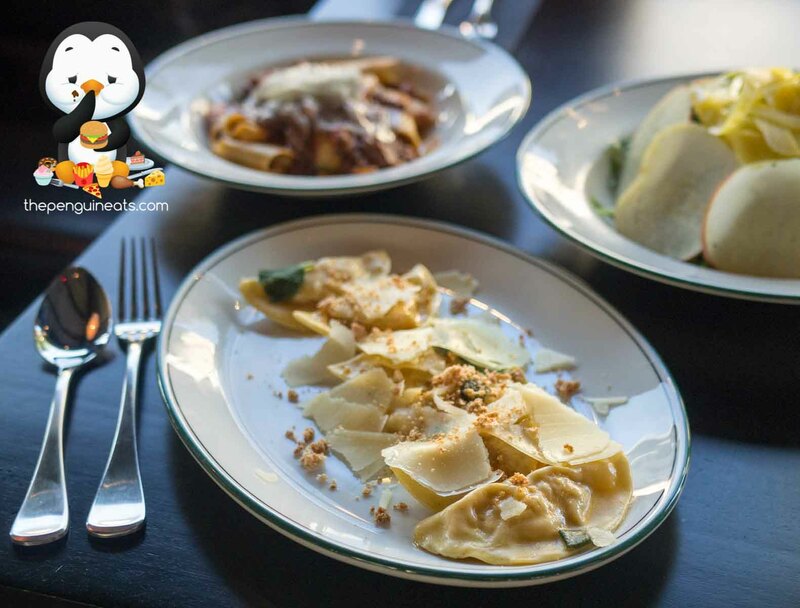 For pasta lovers looking for a modern Italian experience that’s refined yet still holds true to their authentic heritage of simple and honest cooking, Tipico is a must. Most definitely. 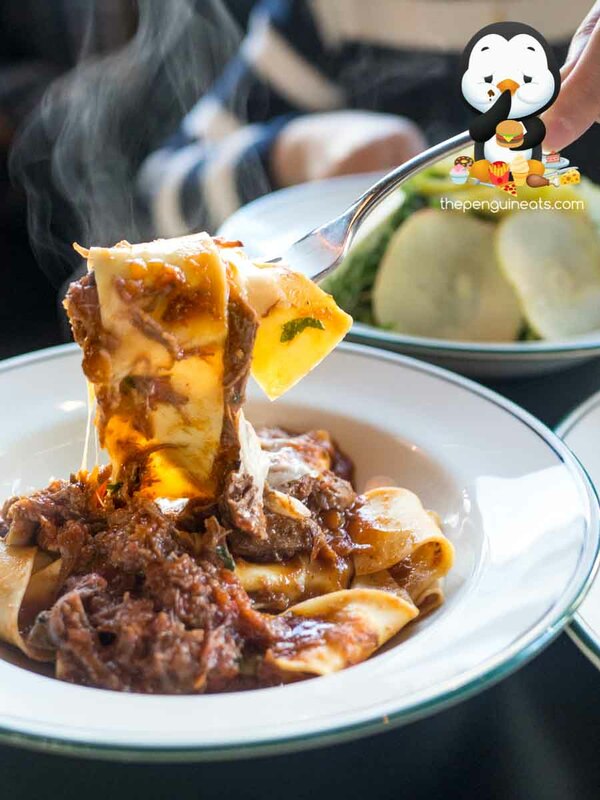 We can’t wait to be back for more of the best Ragu in Melbourne! Penguineats would like to thank Tipico for inviting us.